Cross lattice stencil. PINK sections in image are the open sections. 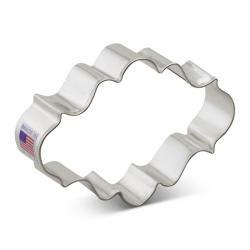 Plaque - Fancy Long Frame Cookie Cutter 4.25"
Plaque - Fancy Oval Cookie Cutter 4.25"